Please see attached the results from the 2019 Victorian Pipe Band Championships held at Geelong on Sunday 17 March at Osborne Park, North Geelong. Congratulations to the Champion bands in each Grade, Moorabbin (Grade 2), Scotch College No. 1 (Grade 3), Warrnambool No. 1 (Grade 4), Scotch College No. 1 (Novice A)and Scotch College No. 2 (Novice B). 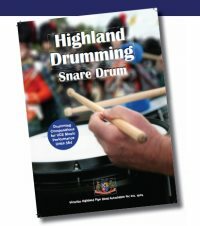 The Grade 4 Selection of Marches contest was won by Haileybury Pipes & Drums but the drumming and ensemble points for this non-aggregate contest were inadvertently halved. This has now been corrected on the updated master sheet, and the outcome is that Federation University gained second place, and Scotch College No. 2 third place, thus reversing the previous order of second and third place. Pipe Bands Victoria apologises for any inconvenience this may have caused and we look forward to seeing you all at Ringwood on 31 March.